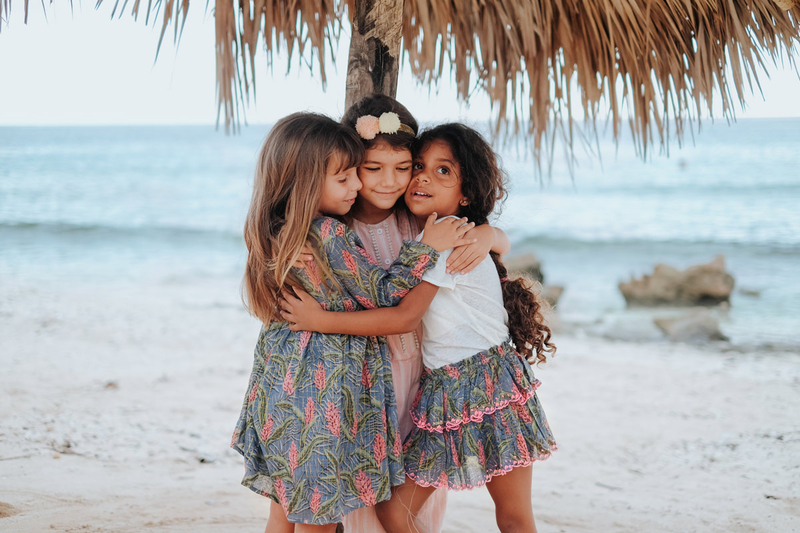 During an adventure across India two great friends, Marie et Aurélie, decided to bring their inspirations together to create a line of ready-to-wear and accessories for young girls. The first collection came out in November 2012. Louise Misha (A combination of Marie’s and Aurelie’s beloved grandmother’s names) was created. Nová kolekcia Bobo Choses nás núti zamyslieť sa nad zdanlivo banálnou otázkou - čo by sa stalo, keby zmizli všetky včely? Narušenie krehkej rovnováhy v prírode by mohlo mať zničujúce účinky pre celé ľudstvo a pravda je, že populácia včiel sa alarmujúco zmenšuje. A preto Bobo Choses svojou novou kolekciou vyzýva všetkých malých aj veľkých: Urobte si záhradku, pestujte rastlinky a kvietky. Včely tak budú aj vďaka vám šťastné! ???????????????????????????? Teddy bear alebo kožúšok z umelej kožušiny je najväčším hitom sezóny nielen v móde dospelých, ale je naozaj vďačným (a teplým) kúskom aj v šatníku malých parádnic. Podľahnete mu aj vy? This is Roots, Gray Label's Fall Winter 2018 Collection. For this collection, Gray Label chosen a new favorite colour: Plum A tone that reminds us to plant our feet on the ground. With Plum they have designed Pleated Suits, L/S Tees, Sweaters, Hoodies and Twist Headbands. 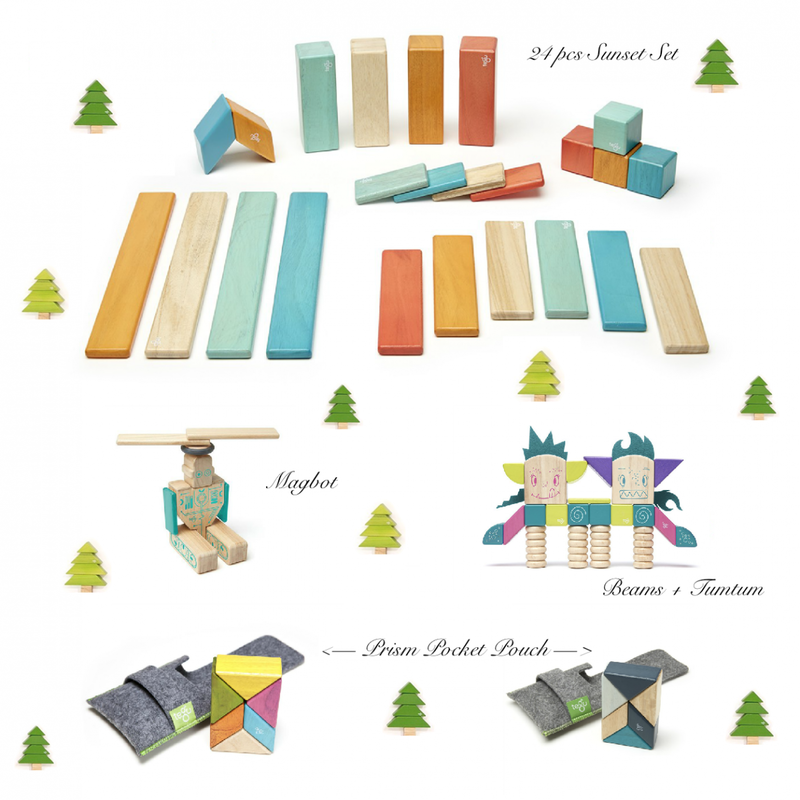 Design for little nature lovers, that would like to be as strong as a tree. 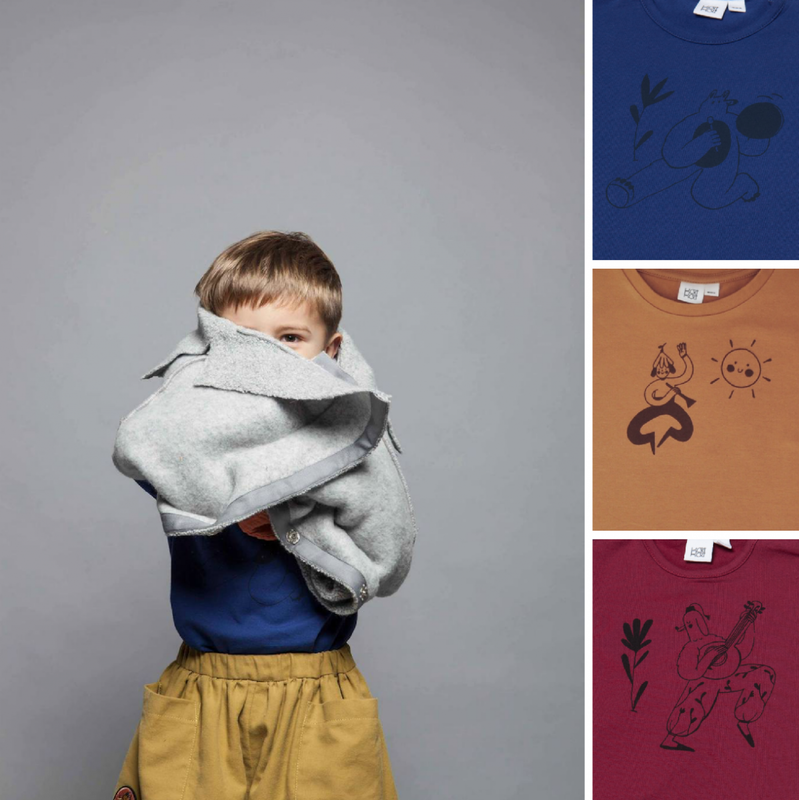 The story of Little Creative Factory’s latest collection ‘Horizon’ unfolds under this bright winter sun where an iridescent, deep blue sky meets rusty red Earth and charcoal rocky outcrops, where the mountains meet the cloud and the sky the sea. It is a tale of a young girl who runs wild and barefoot across an empty, barren landscape that seemingly has no limits. She is rooted to the land and to nature, yet her imagination runs free. Her gaze is constantly drawn to the ever-changing, infinite horizon that is full of hope and possibility. 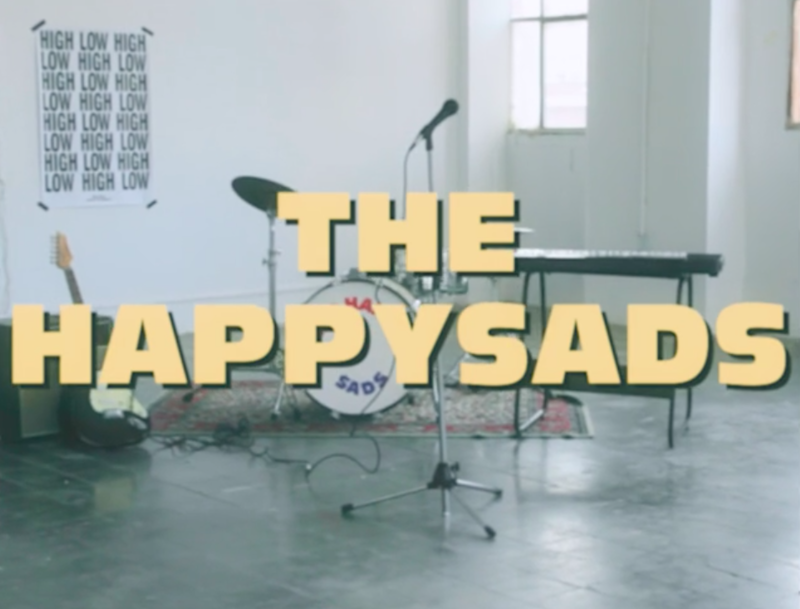 Nová značka v našej ponuke, BOBO CHOSES, predstavuje jedinečnú retro kolekciu v podaní veľmi špeciálnej detskej kapely - THE HAPPYSADS! My sme im úplne podľahli. 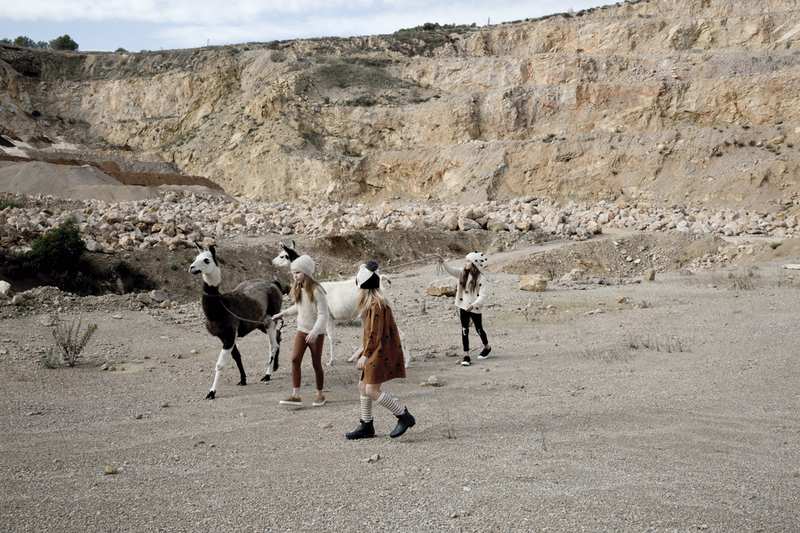 We are very proud to have a Slovak slow fashion brand Oolet in our portfolio. The brand was established in 2014 and in Slovakia. Even though the mainstream fashion is part of our everyday life, the founder of Oolet dizajn thinks that less is more and focuses on a sustainable and slow local production. Stand up for your dreams! SS/18 ‘dream team’ collection is about encouraging kids to stand up for their dreams. To stay kids as long as they want. To keep on dreaming and ght for the child imagination. Their aim is to make them believe that everything they imagine can come true. That the childhood is the time to feel free, to dream and to create and not to follow the stiff rules of the adult world. 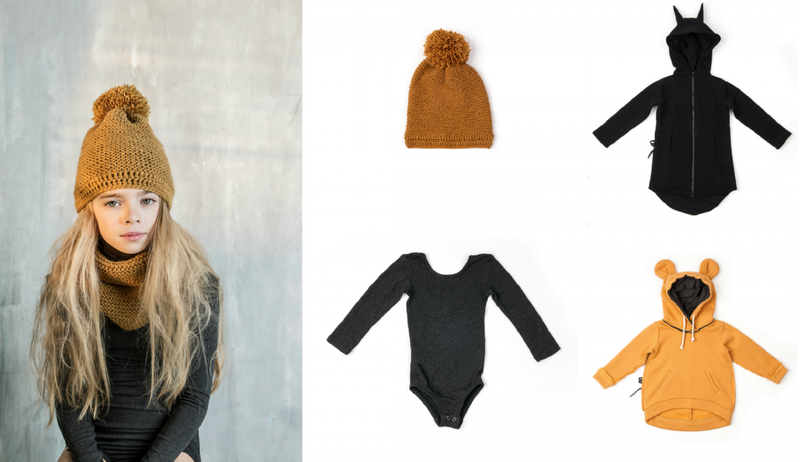 For the smallest little minimalists in this world, Gray Label is dedicated to create nothing less than ultimate softness. A child’s mind is magical. From their pure, unconstrained source of imagination, children can become everything they want. New collection Gray Label: is Limitless. She climbs the cold stone steps and slips through the tall austere doorway, places the cleaning bucket on the floor and races upstairs to the first floor. The room is empty. Rows of beds stand to attention, clean, stiff linen sheets, threadbare blankets and the smell of scrubbed floors. She peeks through the shuttered window and looks longingly at the green canopy of the forest where she and her friends join the fairies to dance at dusk. These are her surroundings, her life, her home. 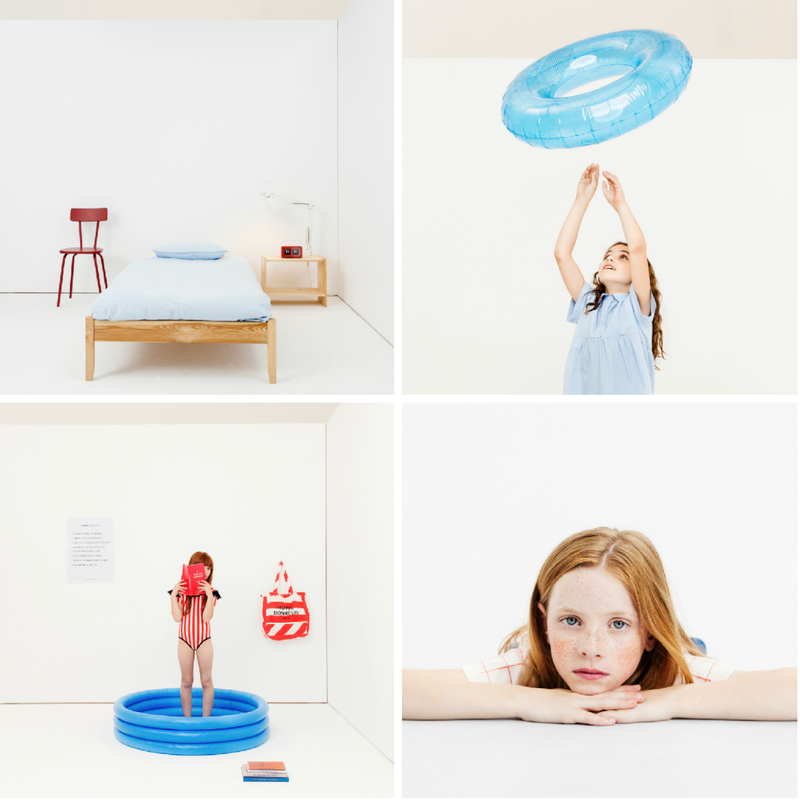 This summer we’d like to invite you to a very special place, a dream holidays destination: Hôtel Bonheur! Pack your bags and set off on this funny journey in the search of merriness. 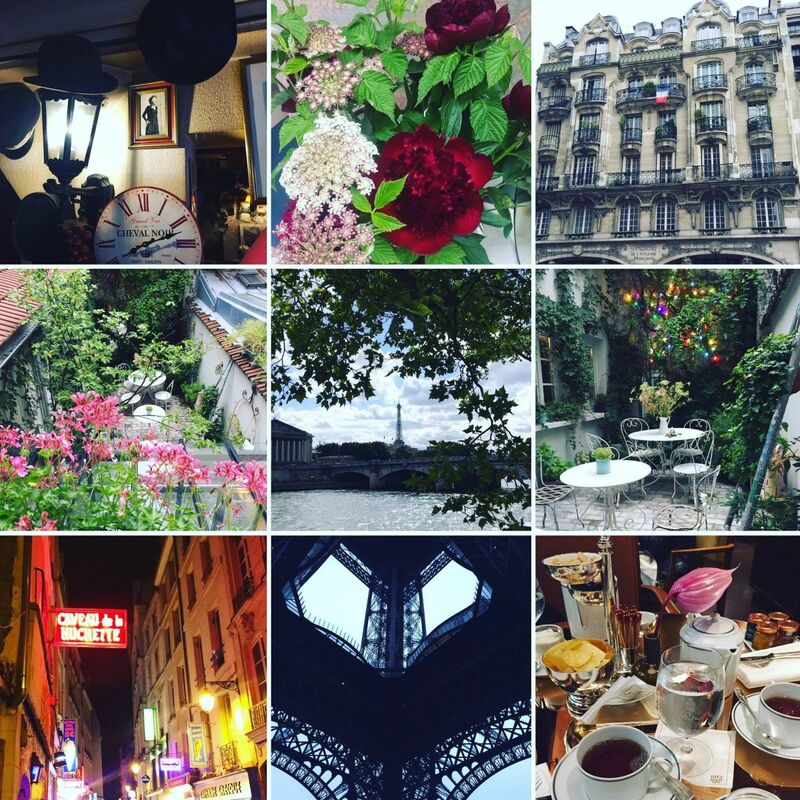 Le concierge Monsieur Pancake will guide you through the hotel rooms and you’ll see the magic happen… Learn the good fun know-how before you leave and you’ll know the real meaning of it. Don’t miss any attraction, it’s all inclusive! And what is your superpower? Crackers have been a traditional part of British Christmas festivities and other celebrations since Victorian times. Pre nás v Alice&Alice by Vianoce ani neboli Vianocami, keby sme adventnú sezónu neodštartovali baletným predstavením Luskáčika v Slovenskom Národnom Divadle. Prečítajte si s nami niečo o tejto čarovnej rozprávke a inšpirujte sa pri výbere vianočných darčekov pre vašich najmenších. 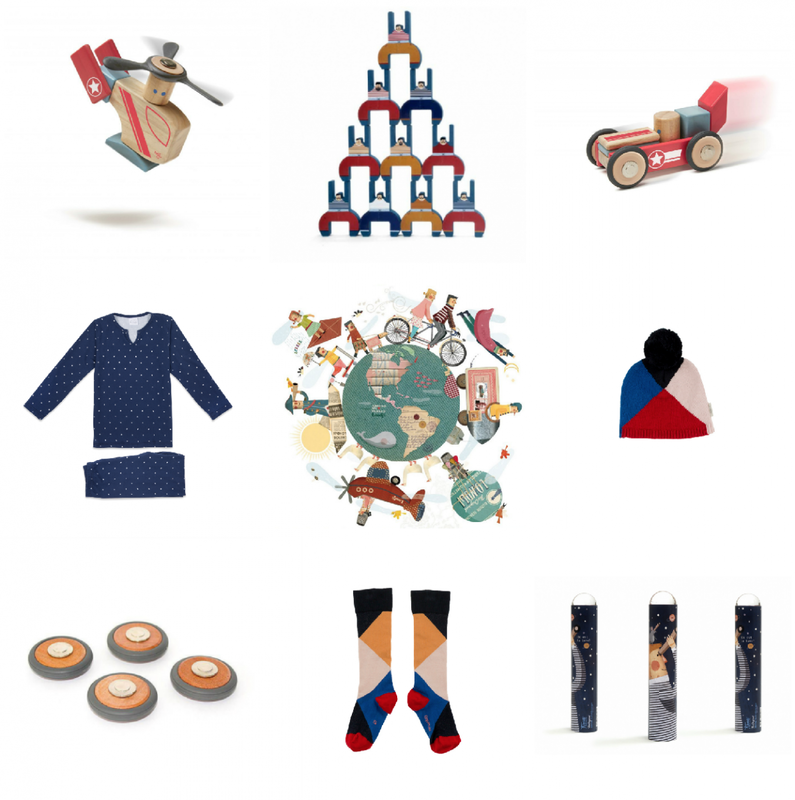 Made with passion, love and fun, Diobo is a new brand started by two Slovak moms. Nechajte si doručiť svoju objednávku domov úplne zadarmo! Akcia FREE SHIPPING platí pre všetky objednávky s adresou doručenia na Slovensko a platí do nedele 3.12.2017. We found this brand some time ago and we want to find out more, but they did not have any webshop nor webpage, just a simple Facebook page. Couple of months later we've met two freckled girls walking at the international trade show in Paris and we found out they are part of Free Sisters, the brand we were so wondering about. As a kid, this was never a question we had to ask. Play was a natural as breathing. Couch cushions became forts. Cardboard boxes helped us rocket to the moon. Splashing in puddles was totally hilarious. Remember that? Play was our first taste of freedom. And in thet freedom we discovered who we were and what we could be. Dostávame množstvo otázok týkajúcich sa produktov Mini Dressing. 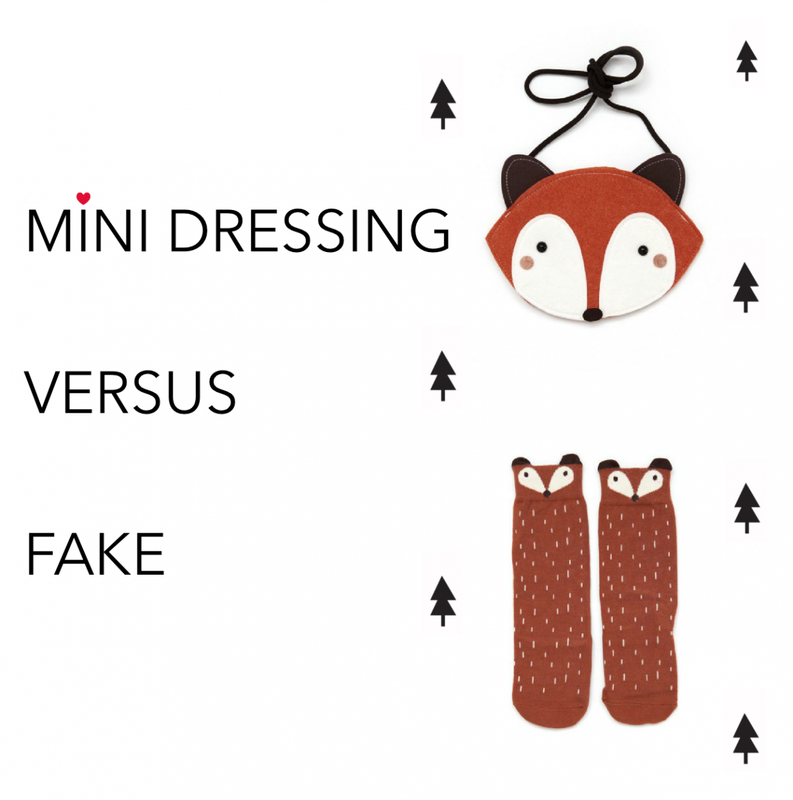 V Alice&Alice predávame originálne produkty od kórejskej značky Mini Dressing - od výrobcu, ktorý tento dizajn vymyslel, realizoval a uviedol na trh. Na čínskych stránkach samozrejme nájdete (lacné) kópie (nielen) týchto produktov. Je na každom z nás, aby sa zodpovedne rozhodol, kde si daný produkt kúpi. U nás máme viac ako dva roky spokojných zákazníkov, ktorí sa k náím opakovane vracajú a ktorí vedia, že predávame originálny produkt a ak niekomu záleží na tom, aby dostal skutočne podkolienky Mini Dressing so všetkým, čo k tomu patrí (tvár zvieratka na leme, protišmuková podrážka, kvalitná ponožka, originálne balenie a pod), tak si ich radi kúpia u nás. As a kid, this was never a question we had to ask. Play was as natural as breathing. Couch cushions became forts. Cardboard boxes helped us rocket to the moon. Splashing in puddles was totally hilarious. Remember that? Play was our first taste of freedom. And in that freedom we discovered who we were, and what we could be. We are all different, but there is something kind of fantastic about that, isn't there? Poďte s nami snívať! Preneste sa spolu s nami na chvíľu do krajiny snov presne tak, ako si to túto sezónu naplánovali tvorcovia Little Creative Factory. Mini fashion show inšpirovaná ich tohtoročnou kolekciou WE ARE DREAMERS bola hlavným bodom programu nášho malého módneho eventu pri príležitosti uvedenia jesenných kolekcií kľúčových značiek v našej ponuke na slovenský trh. Predstavujeme Vám novú kolekciu od obľúbenej poľskej značky Mouse in a House: AW17 SHADOWS. If you like all the things different, you have to love Wolf&Rita. Their Claudia No Electricity print dress totally stands out! Totally! Emerald is a color that is a shade of green. It is light and bright, with a faint bluish cast. The name comes from the color of emerald. Life is not perfect, but outfit can be..
Summer break is a much needed time to relax! Get off the beaten track and explore the famous Altiplano, a South American high plain full of llamas and interesting people, a place to discover the highest lake on earth with a very funny name “Titicaca”… and much more! Motoreta’s new Autumn Winter 17|18 collection’s shapes and prints were inspired by the connection between nature, fashion, architecture and land art. The authors are trying to express their idea, that learning to live by nature’s design is our only hope for the future generations. The Amsterdam based kids clothing brand Gray Label launches their new MY WAY collection on Monday August 7 2017. This collection shows that children have their own character from a very young age, which may inspire parents to enhance the uniqueness of children, instead of dictating their identity. Cotton Candy or Blue Wave? And it is here, far from the madding crowd, surrouned by the dunes and silence that we make out a small silhouette. From the top of the dune, the profile of a nomadic girl appears. A small shadow approaching slowly, but with a strong and determined step. Suddenly she stops, looks around her, allows her body and soul to fuse with the surroundings, she is filled with light and energy. She enjoys the moment, the silence. We watch her. We can feel the freedom and fulfillment that permeates this wandering soul. We are the accidental witness of a perfect picture. OOTD: Motoreta & Minorquines. Made in Spain. ... is not just about the latest trends; it is about feelings and emotions we want to express. We believe what we wear reflects who we are, or at least, who we would like to be. By putting an extra thought and effort in choosing the right clothes and toys for our children we help to build up their personalities. We educate them in the better ways of the world. Thank you, Evita magazine for the interview and Zuzana Gavulka for the photosession. NEW IN: Short sleeve t-shirt with raglan sleeves, slightly curved at the bottom and beige logo stitched on the right arm. Super comfy and stylish, this simple basic shirt is a total must have! Here comes the sun Here comes the sun, and I say It's all right. Princess nightgowns and flannels fit for fairies - that is Amiki nightwear. Only high quality cottons, silks and wool are used to produce these beautiful children's pyjamas and nighgowns with vintage feel. 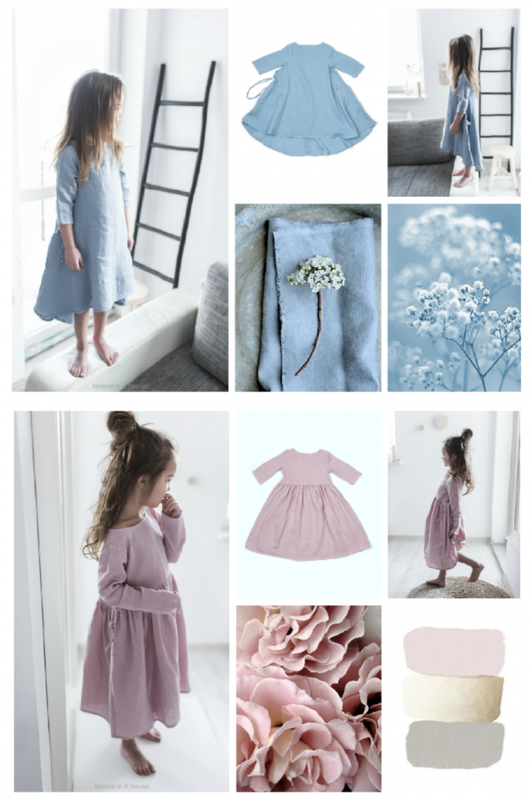 All the exclusive designs are made by a mother of two girls who love to be involved in the creative process, therefore Amiki nightwear is 100% kids approved! All the products are made in Estonia. The original model of the famous menorcan sandals invented by the peasants of the island of Menorca in the 50s, redesigned in soft leather with a light sole made from rubber with a tyre-tread print. The end of the foot is opened and the position of the heel strap makes sure the foot is held in place. For some time there has been stirring deep within us, a thousand questions assail us, until all of a sudden we feel the need to leave our comfort zone, our easy and predictable day to day, our monotonous and sedentary life. Our frontiers, real and imaginary, suffocate us, they oppress and invade our being, blocking our energy and eclipsing our very essence. It's time to move on, to allow ourselves to be carried away by our instincts and enjoy the freedom, the silence and the gifts that nature bestows upon us. It is the moment to feel alive and meet again with our purest self, with our nomadic spirit. New In: Mouse in a House! Mouse in a House creates clothes that are one of a kind. Every child will feel super funky and comfy in them. 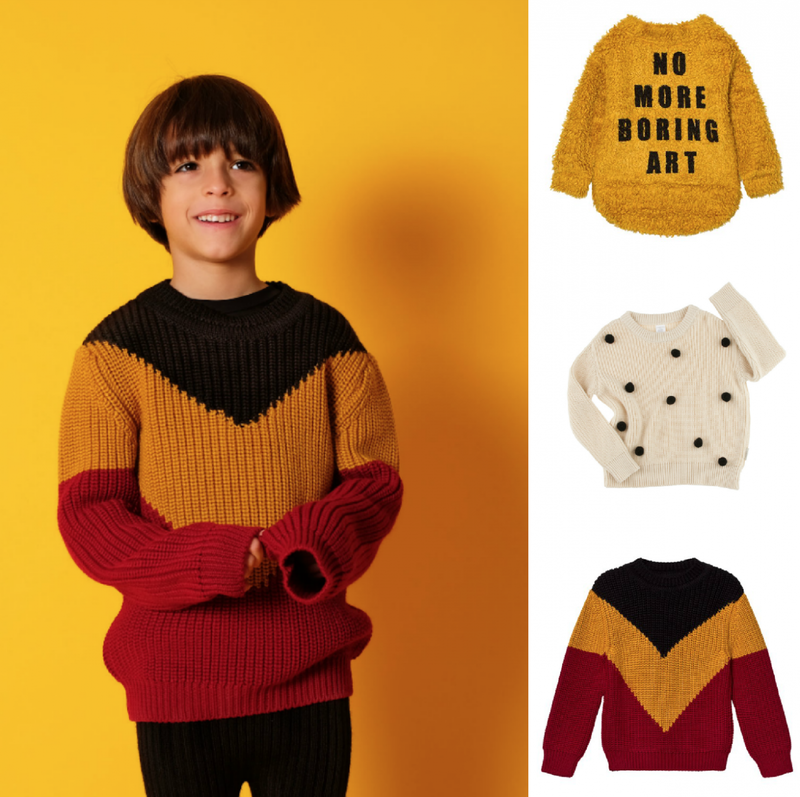 Unusual cut, soft material, carefully thought through styles and colours make a perfect collection for those who want to look stylish and unique. The clothes are specially designed to enable easy and free movement. Each collection is created so all the pieces can be mixed and perfectly matched with one another. Parents can create unique variations and combine any of the items together. Pinafore dress - playful and stylish - are the perfect garments for a spring season! The winter has not officialy ended yet, but we already have welcomed summer - with the launch event of the SS17 collections. And as summer would not be a summer without ice-cream, the choice of venue was an easy one - the best ice-cream place in the world - KOUN. Oolet Dizajn je naša obľúbená slovenská značka, ktorá pracuje v duchu slow fashion. Otázka uvedomelej spotreby začína byť čoraz aktuálnejšia a majiteľka, ktorá stojí za značkou Oolet dizajn si to veľmi dobre uvedomuje. Jej kolekcia je vyrobená z prírodných materiálov, ako bavlna a ľan a nesie sa v naturálnych a púdrových tónoch. Spoločným cieľom spolupráce s Oolet Dizajn je prinášať na slovenský trh kvalitné veci, ktoré si zamilujú nielen decká, ale aj ich rodičia. See Concept is changing its name and is becoming IZIPIZI! Sage is a grey-green resembling that of dried sage leaves. As a quaternary color, it is an equal mix of the tertiary colors citron and slate (both confusingly also known as olive in different sources). The idea behind Wolf & Rita emerged from a history of more than 30 years of experience in specialized shirts making, so the decision to create their own brand came as a natural step. 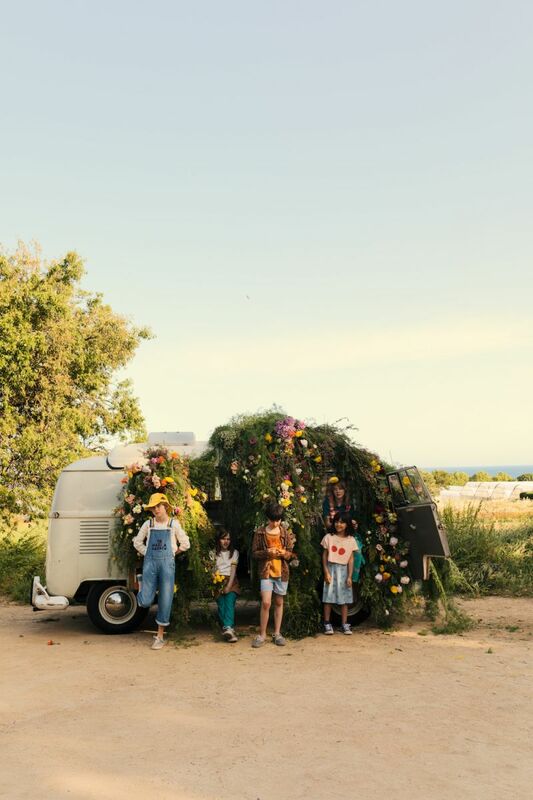 Embracing the use of old techniques and the natural expertise that comes with experience, Wolf & Rita cultivates the savoir faire and inspiration of the past to create children’s wear for everyday use. For babies, nothing less then ultimate softness is created by Gray Label’s high quality organic cotton fabrics. We have gift-sets for the newly born, and for little older babies double breasted babysuits to snuggle, baby tees and hoody sweaters to stay warm and cozy, and baggy pants to crawl around and discover the new world. Walk through the atelier with us to discover this range of styles and colours, which unleashes the artist in every little one. 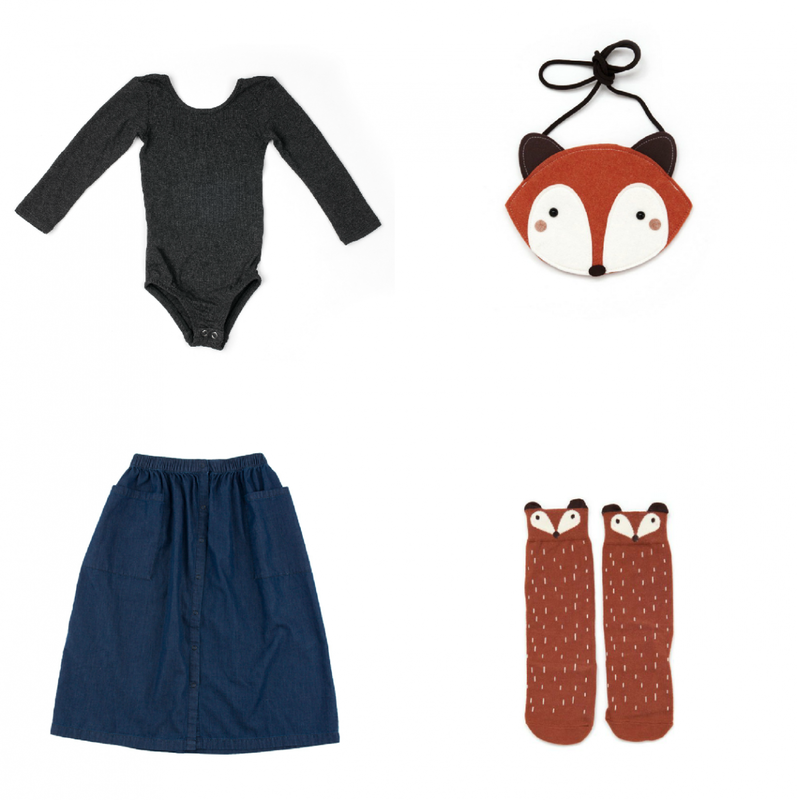 The dutch designers have created pinafore dresses, drop-crotch trousers, raw-edge scarfs, baby bloomers, long skirts, baby salopettes and the new colour Sage. All for little Picassos moving between tables filled with tons of coloured pencils, picking a couple and go back to sketching, while humming their favorite songs. This is where dreams become ideas, and where ideas are brought to life. S Gavulkou sme sa stretli za veľmi príjemných okolností a celá príhoda nám doteraz vyčarí úsmev na tvári. Fotografka Zuzana Gavulková dlhodobo spolupracuje (nielen) s detskými značkami, aj preto, že má talent zachytiť emóciu dôležitého okamihu alebo z obyčajného momentu vie spraviť výnimočný. Aj tieto fotky pôsobia rozprávkovo, až mysticky. Ďakujeme! Little charming girl, Clara receives the Nutcracker as a present from her godfather Drosselmeyer at a Christmas party. Her fantasy adventures with the Nutcracker are all a dream: at midnight the toys come to life and fight an army of invading mice; with Clara's help, the Nutcracker kills the Mouse King and is then transformed into a handsome prince, with whom, Clara falls instantly in love. My wish for you on your FIRST CHRISTMAS is to see bright golden stars sparking in the night sky, to feel the Christmas magic in the cold air, to marvel at the beautiful lights twinkling on the Christmas tree, to feel the warmth of a crackling fireplace, to be surronded by joy, light and love and to create happy and precious memories to last an entire lifetime. Their minds were not built to sit and be taught. They were built to explore, play and learn. and that's why we are happy to announce our great cooperation with a brand founded by trio of designers from Lyon, France - See Concept - offering its innovative and colorful design glasses accessible to all. Meet See Concept! Elegant victorian two piece Grace with below the knee trousers Amiki Sleepwear. 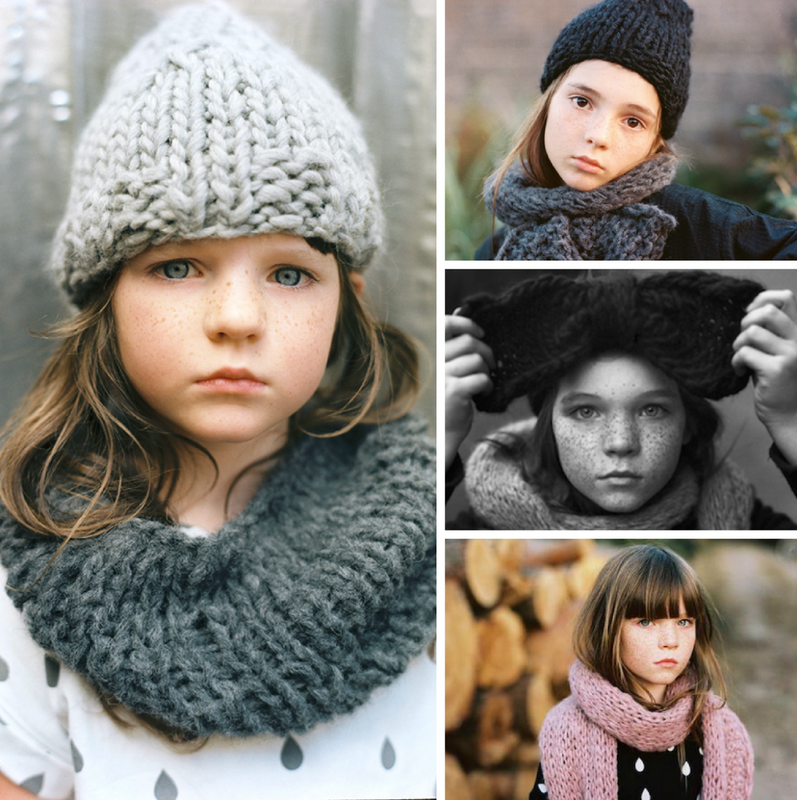 Beautiful photos taken by Miska Dorota&Greta. Selected garments now in sale. Grey - Black - Repeat..
Huckleberry Finn is a playful, enterprising, mischievous and compassionate boy. He is a free spirit who observes the world logically and practically, without judgement, and who constantly struggles with society's rules. 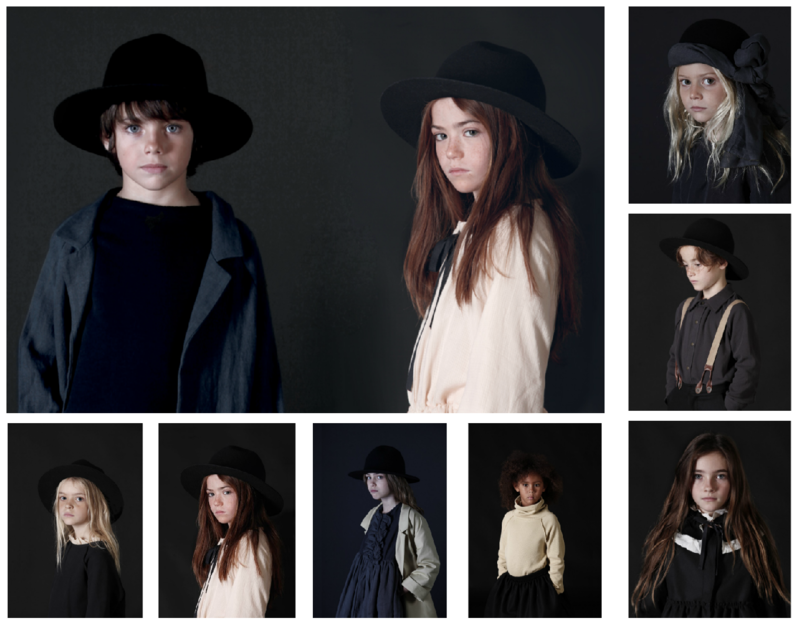 We've already written about Little Creative Factory AW1617 collection Nostalghia. Every one of these garments has a character of its own, but is designed to be experimented with, to be playful and imaginative with. Michala of Dorota&Greta Blog proves again that combining and layering the garments leads to unexpected and surprising looks. Every small or big dreamer creates an unexpected look that will bring out their personality. There are no limits, no rules. In a sea of over-the-top garments, a minimal aesthetic can be totally refreshing. If you want to lead a minimal life, assessing your wardrobe is a great place to start. Don’t get us wrong, we love bold style. But as we are trying to keep things 'simple', our selection should inspire you to start living – and dressing more intentionally. Simple is just new black. 3. novembra 2016 sa v Kunsthalle v Košiciach konala veľkolepá módna show Idy Sandor s názvom 10 rokov minimalizmu. We've already written about new Motoreta AW16 collection: Standing Mobile. Adam Adam Fashion Blog wears Kazumi Hoodie Coat in Grey Denim with Knitted Scarf Marbled Grey and PomPom Hat. Photos taken by Tonka Adam Fashion Blog. It is THAT time of the year when we are walking through yellow and red leaves. Soon the colder season will set in, the days will get shorter and we will be preparing our houses for the cosy season with warm blankets and tea. Outfit of the day: Cute little Matylda wears new Motoreta Yumiko dress and Harlequin Braveling tights. Good feelings are to share and take the bad moments as lessons. 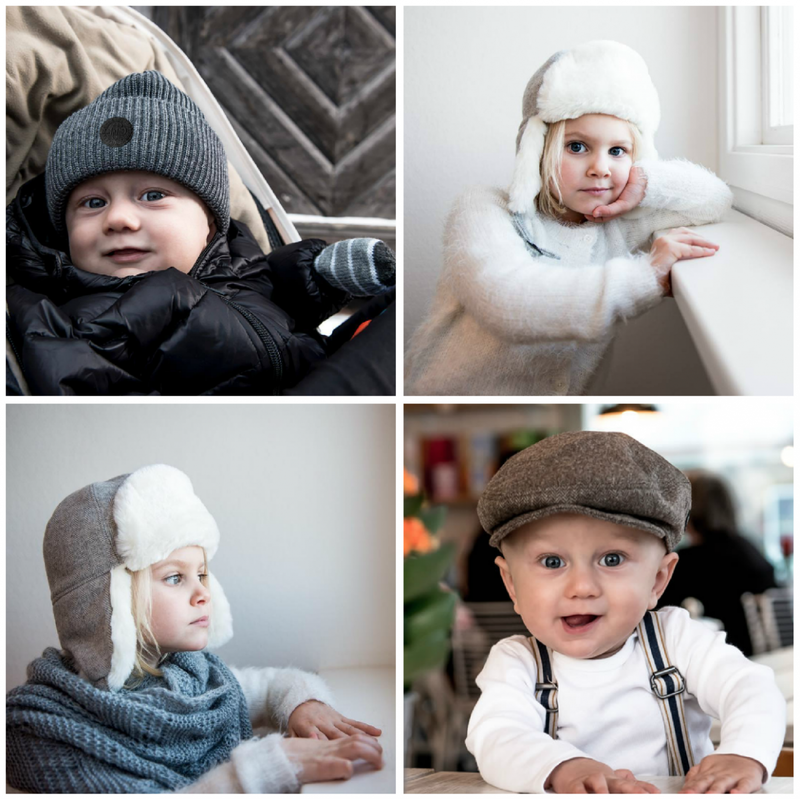 This winter Tiny Cottons collection is about emotions and their faces, discover them piece by piece and explore the graphic world of feelings! We are our emotions. Face them. Face your faces! 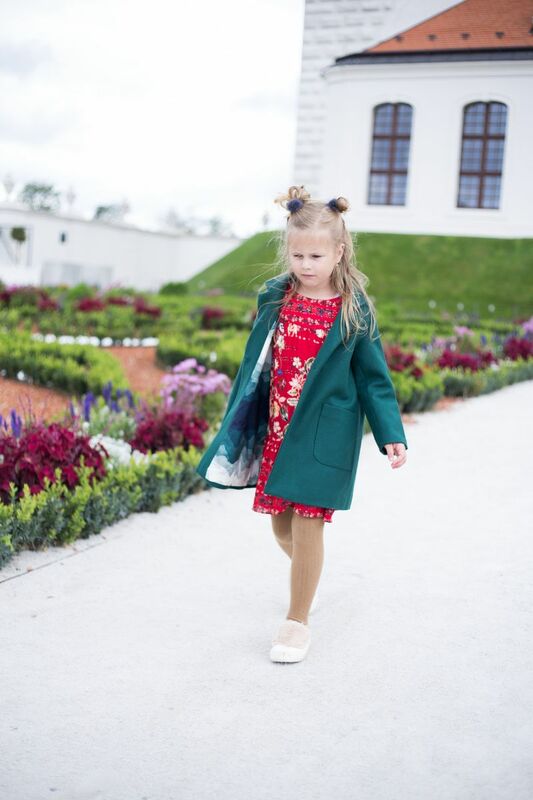 We are very proud to announce you a cooperation with a Slovak slow fashion brand KaiKai Kids. The brand was established in 2015 in Slovakia. 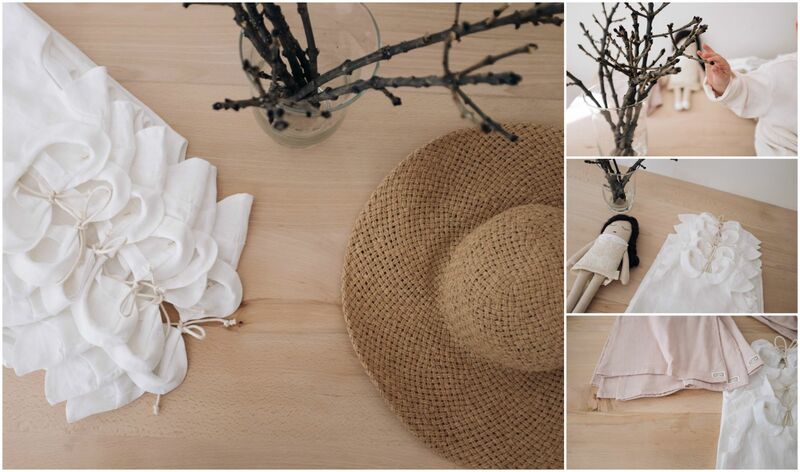 The founders of KaiKai Kids - two mamas of four kids - think that less is more and focuses on a sustainable production. Lets fall in love with their nice, warm and timeless collection..
We are happy to present you the Motoreta AW16 collection called “Standing Mobile” which is about movement, about being changeable in appearance or mood. Some people feel the rain, others just get wet..
For the new 2016/17 Autumn-Winter Collection, LCF travels back in time to the late 18th, early 19th century. A time when silence, darkness, exhaustion and the cold, interminadble days were the inseparable companions of many boys and girls. A time when the games, songs and dreams of children were snatched away by the Industrial Revolution. 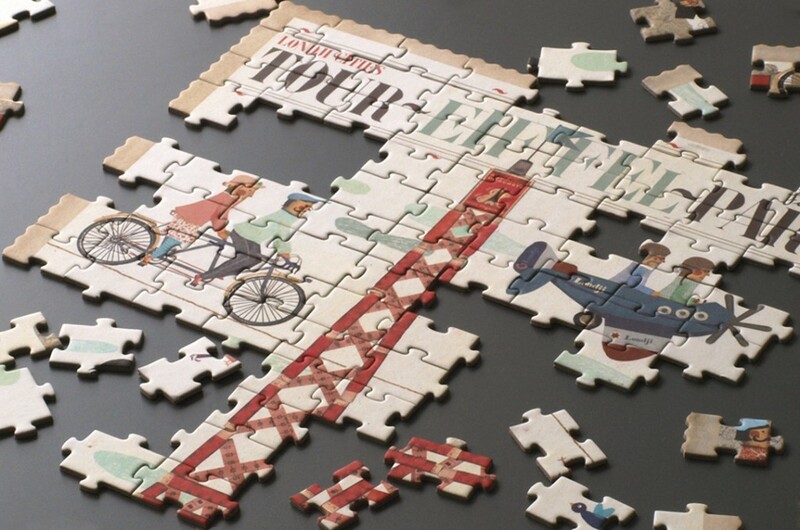 Years when modernization and the beginning of the consumerism robbed many a childhood. We are truly happy and honoured we could have been a part of the opening day of Bratislava Fashion Days, where we officialy launched the latest AW collections by the Spanish slow fashion brands Little Creative Factory and Motoreta on the Slovak market. We are especially proud of our little models, who totally stole the show away. Thank you! 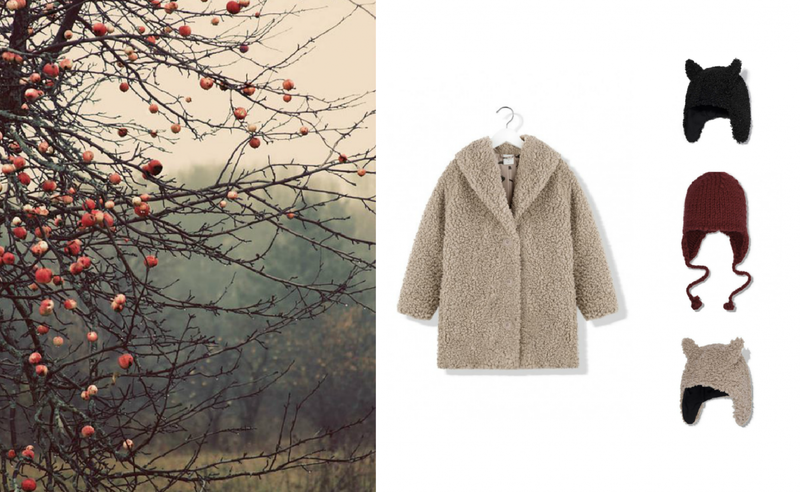 There is always a special sense of dreamy spirit and poetry to Wolf&Rita fashion. Even more so in this year's AW collection. 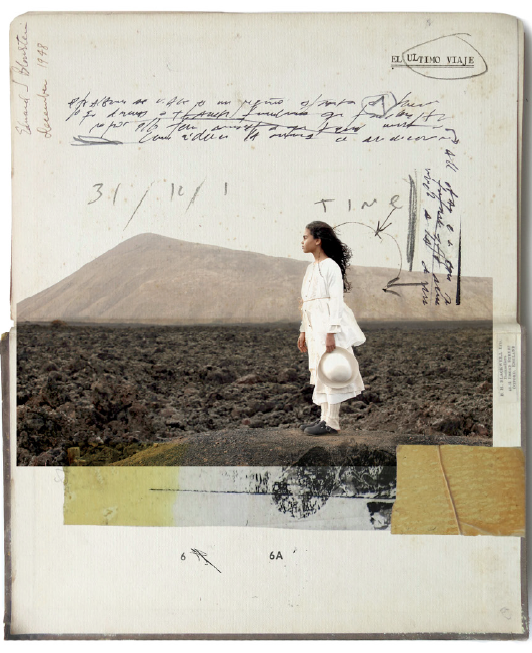 An old notebook from the beginning of the twentieth century discovered in a flea market in Paris was an inspiration behind "The Lost Notebook" Collection. For us, it just oozes poetry. Just 6 kilometers from Bratislava, on the hilltop above a sunny vineyards and under the woods of Small Carpathians, there lies a small treasure – Wieger’s Villa. Following little dirty gravel roads we found it there, stretching between stone brick walls, wandering sheep and stark silhouettes of century old trees, the deserted fields of Red Earth. Discover this collection associated with untamed sceneries, introducing Red Earth as a new color of Gray Label. Designs for little rascals playing the red earth like a carpet, while dust comes their way. 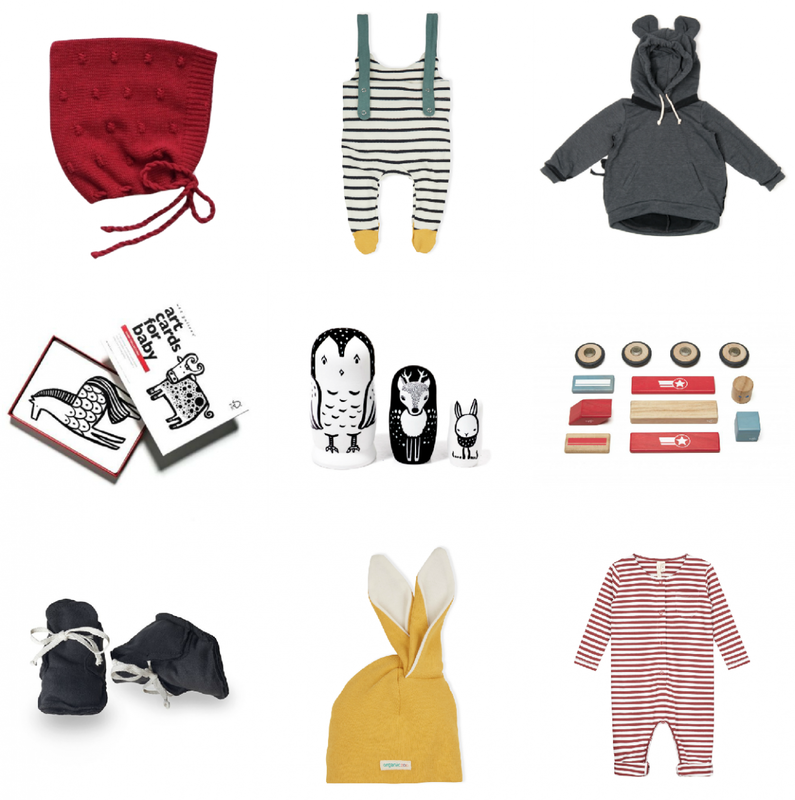 We are happy to announce that Alice&Alice is a part of Babyccino Kids 'family'! Summer is finally here. Hurray! We cannot wait for the well deserved vacation! If you are looking for some inspiration regarding what to pack for your little girls, here are some tips. This SS16 collection we get inspired by colors, sounds and magic from the flat landscapes of the salt harvests in Cádiz. A place where traditionally the children used to play and let the time goes by. Enjoy the sound of the birds from the saltmarsh, the wind, the sea and the white mountains of pure salt shining under the bright sun of Andalusia. Driven by the desire to create a collection characterised by simplicity, the author of the FARMERS collection took inspiration from life in the countryside, as an allegory of a child’s life. Just as the peasant works by the light of day, the child plays from sunrise to sunset. This contact with the physical world, the earth, the sun, has informed their designs, which focus on versatile and comfortable clothing. Get 20% OFF with code ADVENT2015 at checkout. The code is valid until 15 Dec 2015. Make a purchase of 50 Eur on 9 Dec 2015 ang get 20 Eur OFF your next order. The voucher is valid until 31 Dec 2015. 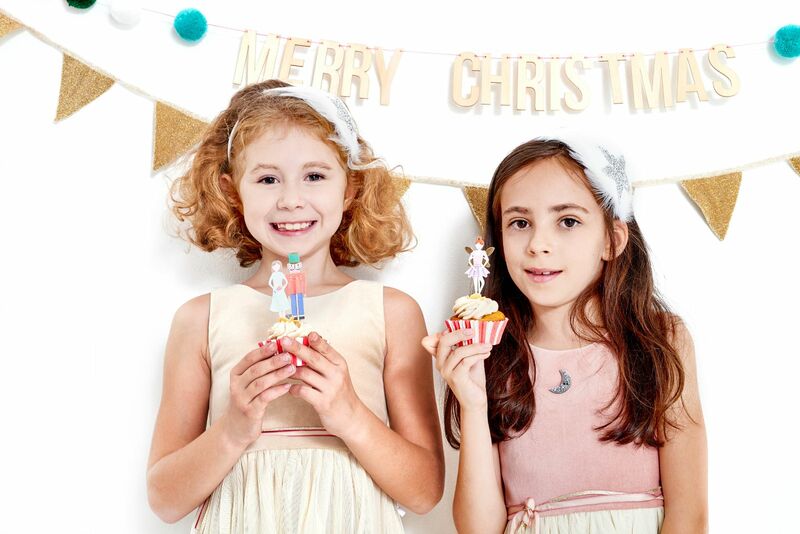 Cute Dorota and Greta wear nightgowns for little angels Amiki Sleepwear. Cebrate a Christmas time and get Free shipping within Slovakia and Czech republic! Register with us and get 10% off from your order. With the registration you will also be the first one to find out about all our promotions and special offers. 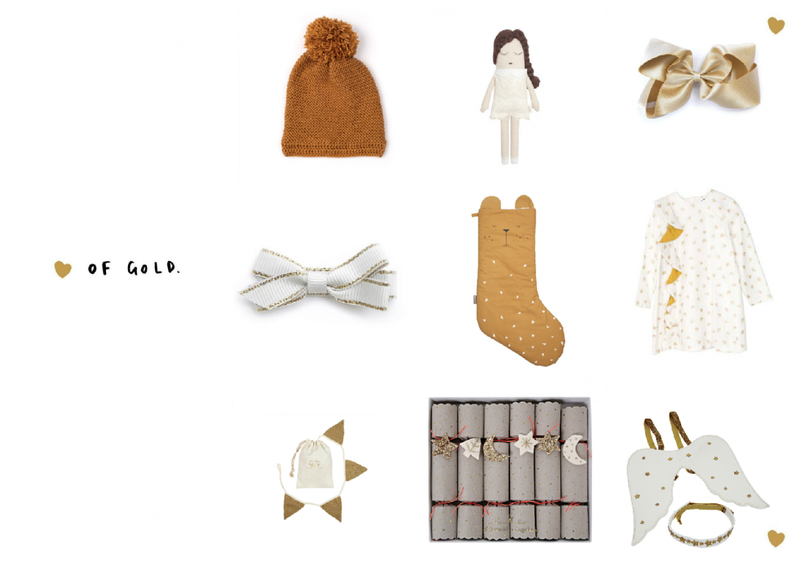 A&A Advent Calendar: Celebrate with us the upcoming Holiday Season. Follow us on Facebook and Instagram for special promotions and discounts every day until Christmas! Little fashion online magazine LeMini.sk is presenting winter photo editorial. 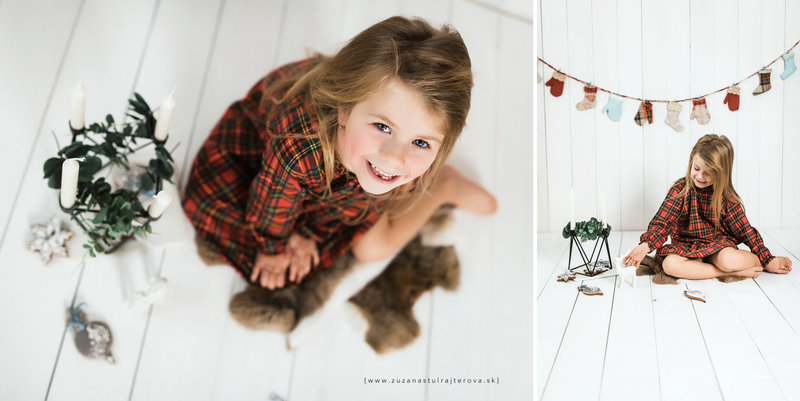 Enjoy the Advent season everyone..
Little Greta wears cute Mini Dressing socks. 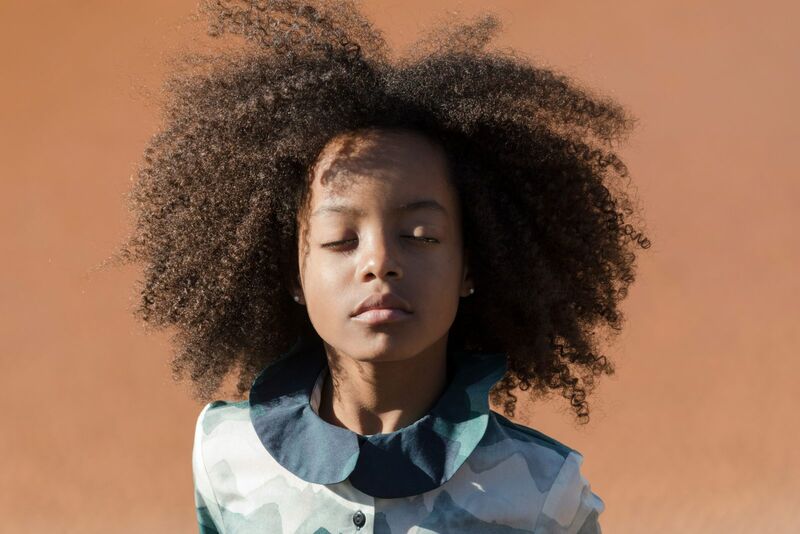 One month ago we launched Alice & Alice, the online kids concept store, a place where the trendiest kids fashion meets the best quality products and services. 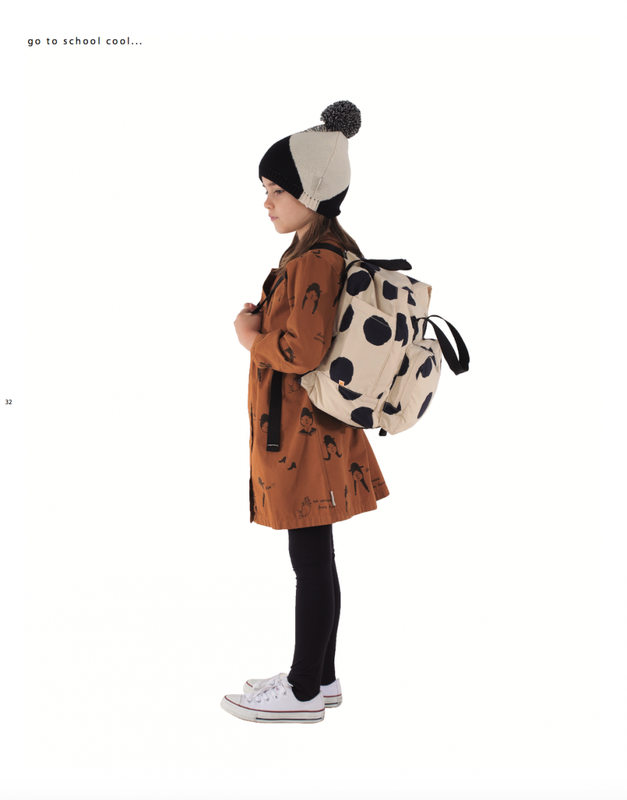 We want to be more than just another childrens’ fashion store. We want to be a place of true inspiration. 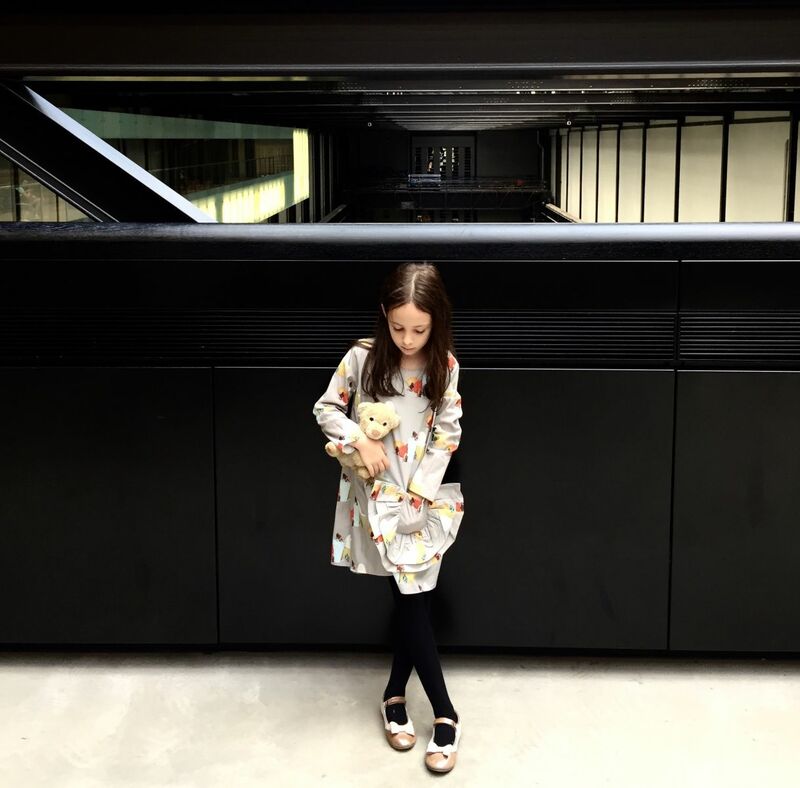 Find out more about our philosophy, kids’s fashion trends and our perception of "slow fashion" in the video from our launch party. 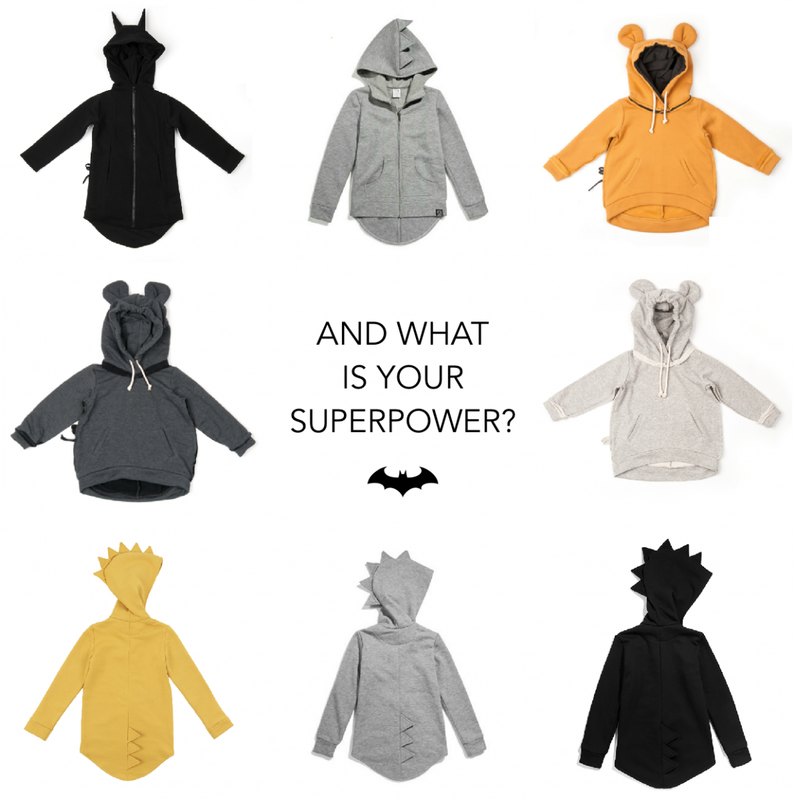 A&A tip: Super stylish unisex hoodie with a dinosaur twist. Roar! Thank you Adam Fashion Blog for a nice post! A&A tip: You don't need to fly a plane to let your imagination flow in the clouds! This super practical and stylish cap will take you there anytime your little one will put it on. Unisex. Perfect leotard for all the little dancers and ballerinas. Love at the first sight! Take a step back in time in this perfect girly coat which is a true dream come true! 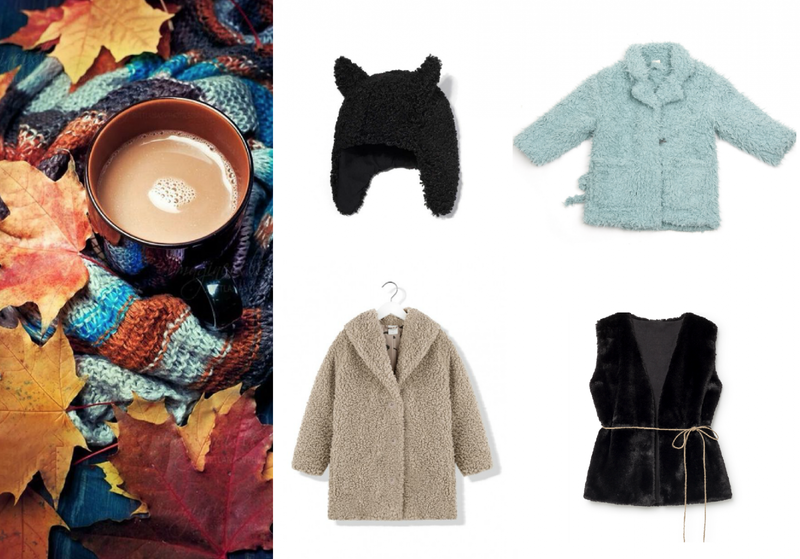 Not only it oozes style and elegance, it also keeps your little Alices in Wonderland warm and cosy. 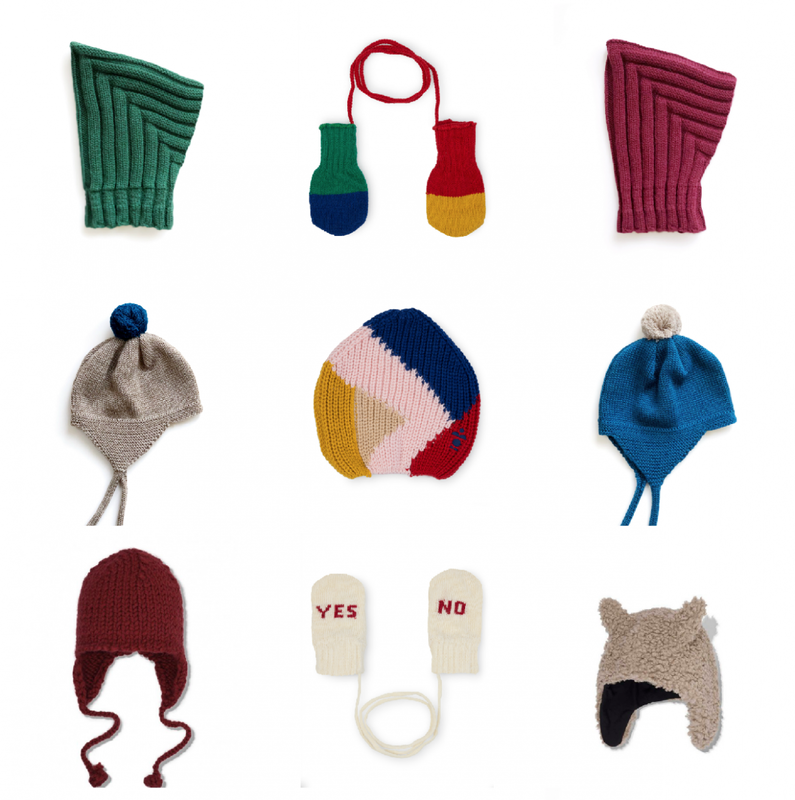 A duo of New York based designers - Atsuyo Yang and Akiko Mukae - created a unique collection of kidswear and accessories with fairytale accents. With Yang's fashion background in Mukake's and fine arts, together they are combining the best of their experience and talent to bring their own world of imagination and storytelling to life through art expressed in clothing and accessories. A&A tip: Delicate pattern and the cutest collar,a dress whic win your heart the same way it won ours! Founded by a family, Macarons is a German brand that strives to develop, innovate and use in the production process only the best organic fabrics without harmful chemical substance. Macarons innovative fashion is truly a fashion for the next avantgard. 100% made in Germany, every piece is developed and tested in Macarons Stuttgart base atelier before it goes out to the world. Na konci ulice stál múr našich lások.. 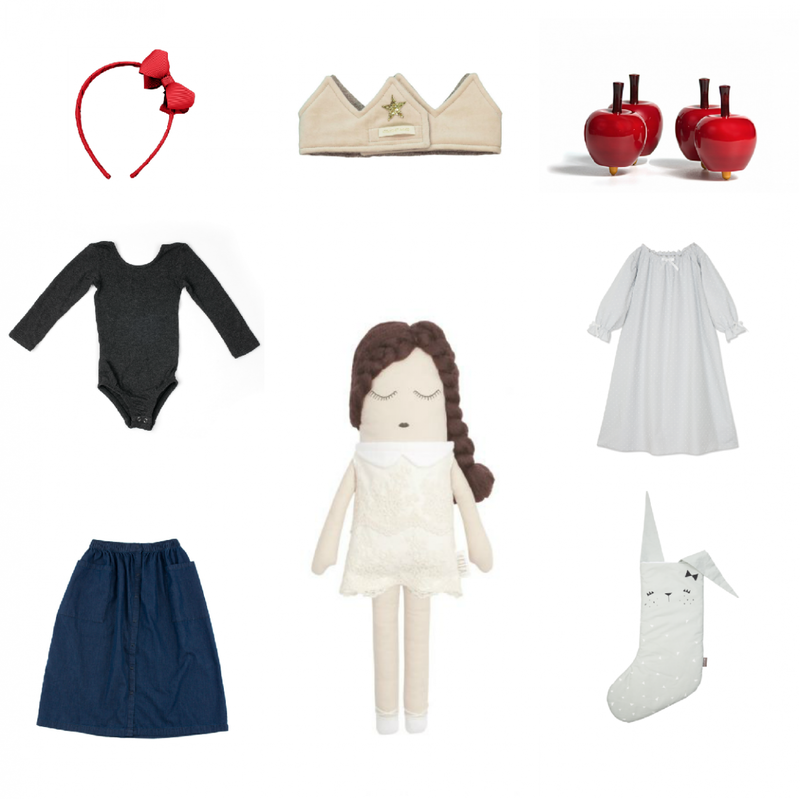 Inspired by architecture and art, Motoreta is a trendy Spanish small scale brand based in Seville. Popular across the world for its playful contemporary design and high quality materials used in the production process, Motoreta garments are 100% sustainably made in Andalusia. Super cute knee socks your little ones will love wearing out and about and indoors too! Even cute over tights when the weather gets chilly. A huge hit! We are out of the rabbitt hole! We had a great time at the morning tea party, let’s explore the Wonderland together. 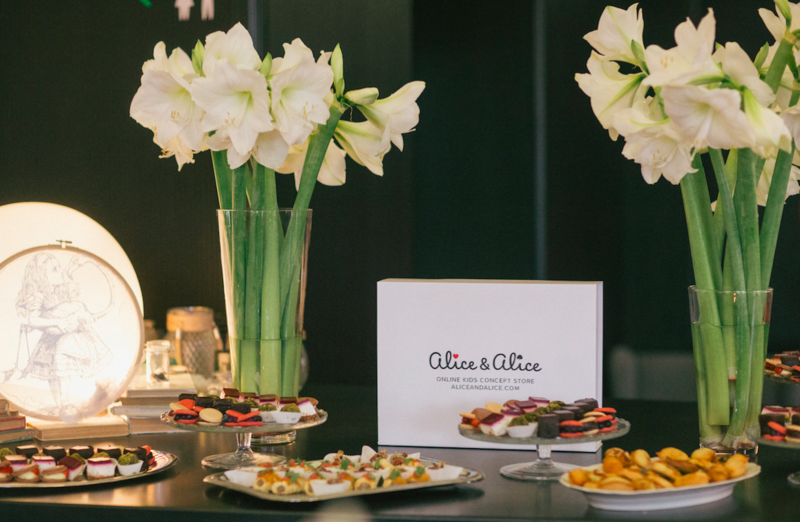 Welcome at Alice&Alice! 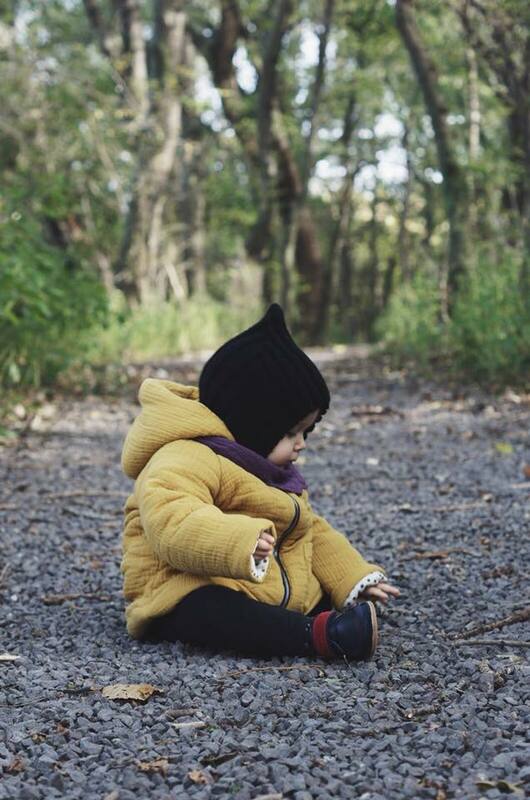 Little Adam known from Adam Fashion Blog wears Macarons outfit. Rumour says he really didn't want to take it off. He is very cute, isn't he? A truly unique concept from Barcelona, Little Creative Factory, keeps winning hearts of many customers all over the world, including some top celebrities. Dressing the most creative of minds, the owner of the brand firmly believes in the philosophy of slow manufacture and local, sustainable production. For us, in Alice & Alice, life is not always what it seems. We adore everything that is different and out of ordinary. We believe in the power of dreams and imagination. We want the world around us to be a better, and a nicer place. We strongly believe that children are the best there is in this world and educating them in the questions of style and taste now will enrich their lives in the future. That is one of the reasons why we decided to start Alice & Alice - a unique place online, where the trendiest kids fashion meets the best quality products and services. We want to be more than just another kids online store. We want to be a place of true inspiration. Fashion for us is not just about the latest trends; it is about feelings and emotions we want to express. We believe what we wear reflects who we are, or at least, who we would like to be. By putting an extra thought and effort in choosing the right clothes and toys for our children we help to build up their personalities. We educate them in the better ways of the world. Even though the mainstream fashion is part of our everyday lifestyle we, in Alice & Alice, want to provide an alternative. That is one of the reasons we only stock products that have been produced in a sustainable way. 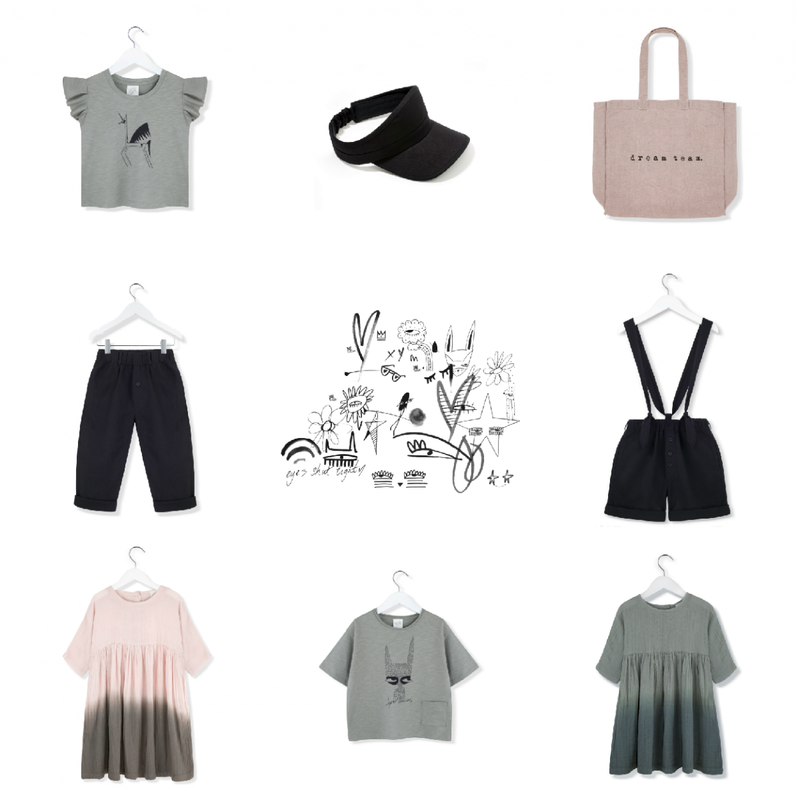 We are big fans of slow fashion and the selection of brands on offer, including Little Creative Factory, Motoreta or Macarons, justifies our belief that future of fashion lies in the local production, utilizing the highest quality materials. 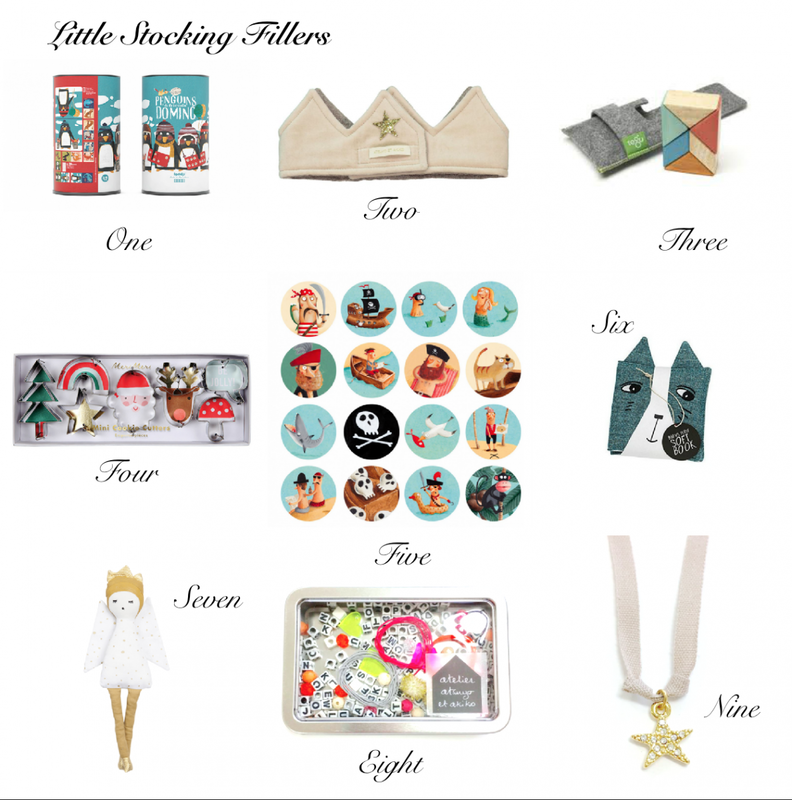 However, we closely monitor the latest fashion trends, and that is why we also offer products that have become popular with little fashionistas’ parents all over the world, including knee-high socks from Mini Dressing or avant-garde tutus from Atsuyo et Akiko among the others. Join the world of adventures in our little wonderland; sit back, relax, and enjoy your shopping experience. 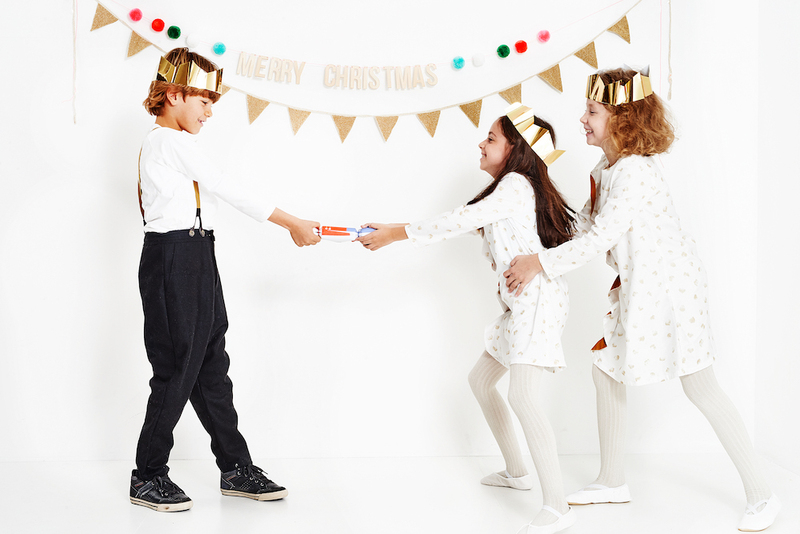 We hope you and your little trendsetters will have a blast!